My goal for next year is to blog a bit more (it is hard using blogger on an ipad - hoping wordpress is easier) and do some tutorials and possibly some patterns! All while probably returning to work full time - sleep is totally overrated! I think the best decision I made this year was to join my local modern quilt guild - the Greater Western Sydney Modern Quilt Guild. I have heaps of fun at the sewing Sundays and meetings. I think the idea of talking fabric and techniques are lost on most of my friends so finding a group of like minded people is so exciting. We had a sewing Sunday today and I worked on a few different things. 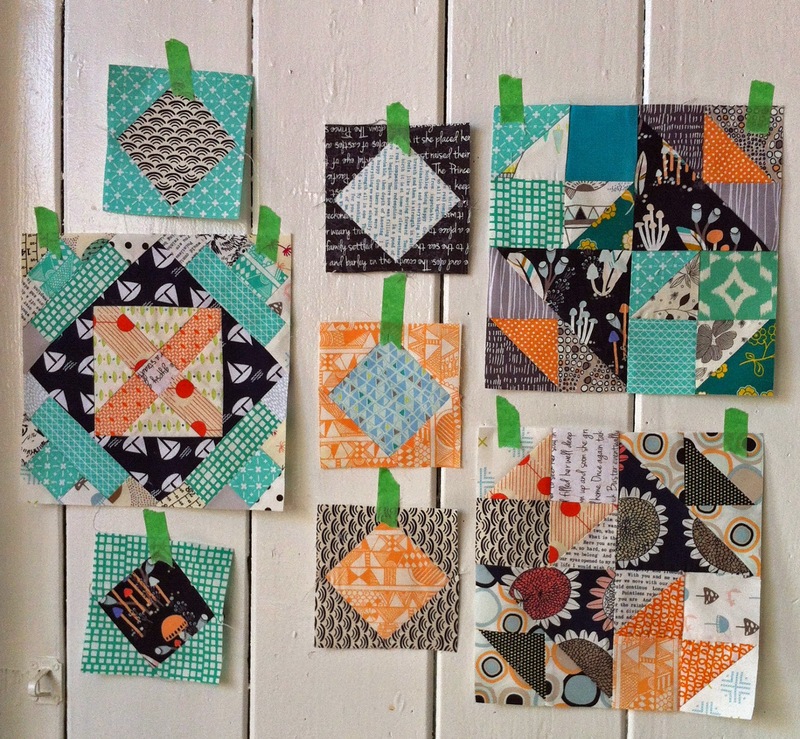 First up was my Quilt Con Charity blocks. Not the greatest picture but here they are. 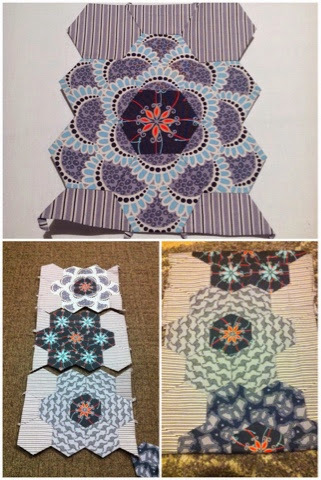 The top block is my own design, which it drew up in the iPad app Quiltography. The bottom block is a bit of improv left over from the top block. 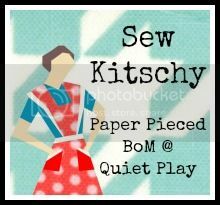 We are also doing a Teeny Weeny Swap with the Brisbane Modern Quilt Guild and the Vancouver Modern Quilt Guild. The idea is that the piecing is teeny weeny. For my partner I have made a mini Dilly bag with some churn dashes. I originally made 6" blocks but then decided I could go even more teeny. So the 2nd lot I did were 3". And as I didn't want to waste the 6" they went on the base and back. 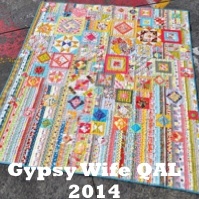 Now onto the winner of the Gypsy Wife QAL. It must be getting to the busy part of the year as there were only 2 entrants. Welcome to my turn on the Gypsy Wife QAL for October! I am loving the pace of doing this quilt a little at a time. My quilt started out with a fat quarter pack of Sarah Watson's "Indian Summer" fabric range and I started to develop my palette around those colours. I even had a trip to Amitie Textiles (home of the Gypsy Wife!) 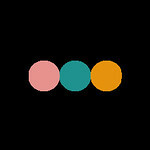 last month when I was in Melbourne to start collecting fabrics for the strips. For October, you should have the following plus now a love/hate relationship with triangles. I think my top tip for this quilt is to use glue to baste your pieces. 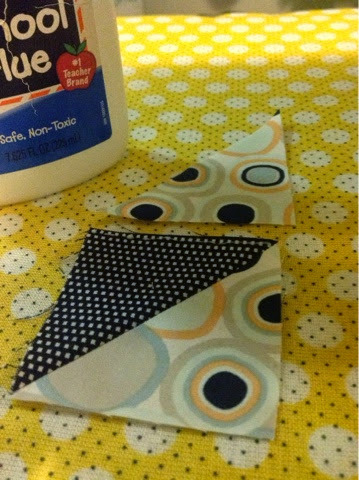 I am a big fan of using glue in quilting, especially with tiny triangles. I use Elmers's liquid glue with the fine tip and I find it works a treat with keeping everything straight and not warping. 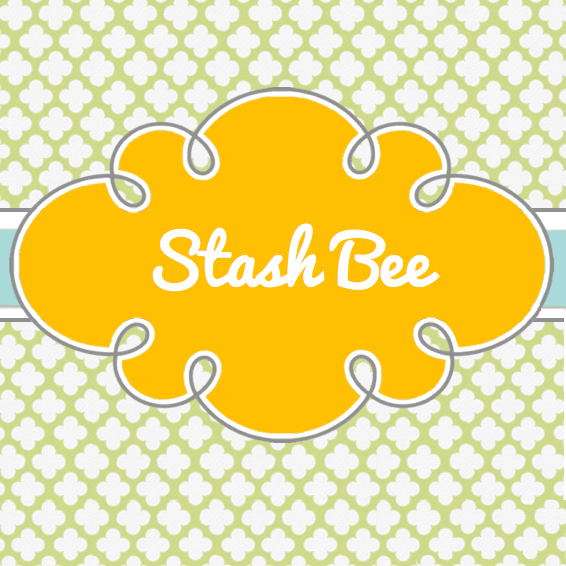 So if you are playing along with the Gypsy Wife QAL please link up your October blocks for a chance to win a $25 Fat Quarter Shop voucher. Hi and welcome back to the Dilly Bag Along hosted by the wonderful Angie at GnomeAngel - for the finished products! Here are my two versions of the bag. The first is my bag featuring the gorgeous Australian fabric from Emma Jean Jansen's Terra Australis range which was my first attempt at fancy fussy cutting. I can't wait to do more of this style of fussy cutting in the future! Hi and welcome to my stop on the Dilly Bag Along hosted by the wonderful Angie at GnomeAngel! I am a fairly recent convert to hand sewing and the hexagon but I am totally addicted now! I think the thing I love is having something portable to take each day and force me outside to eat lunch and sew hexies in the sunshine (well that is the aim)! Now onto the Dilly bag! 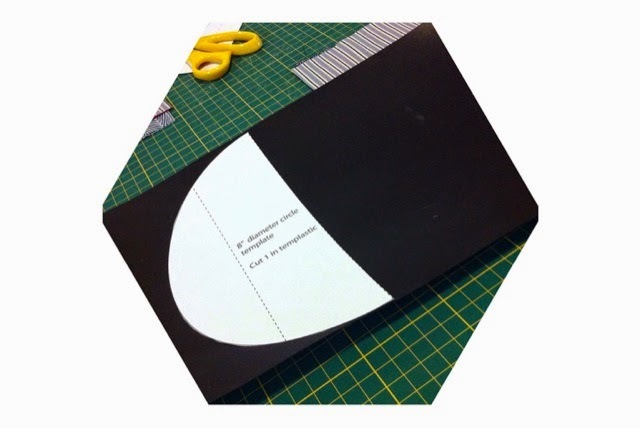 I am actually making two versions, both fussy cut but completely different. The first is using some gorgeous Australian fabric from Emma Jean Jansen's Terra Australis range which is my first attempt at that lovely fancy fussy cutting where you start to make secondary patterns. 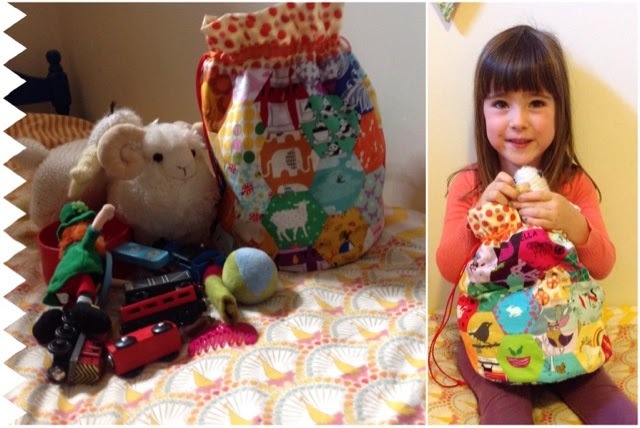 The second (well there had to be a second as I knew my 4 year old would totally covet the first bag and want one of her own) is done with some fun fussy cutting of animals, mostly picked out my little Miss. 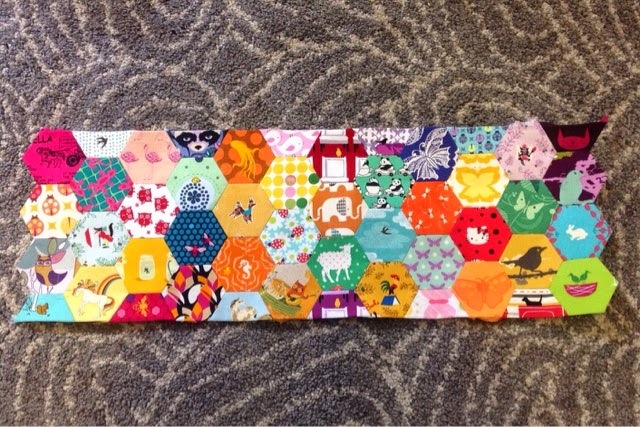 I have used English Paper Piecing to join my hexagons together instead of free-form hand sewing like the pattern says. Now I am going to be completely honest - I have no idea what templastic is or where to buy it! Instead I used the plastic base out of one of my green environmentally friendly bags. It seemed to do the trick! The other handy little shortcut I did was to glue down the top section on the inside of the bag. 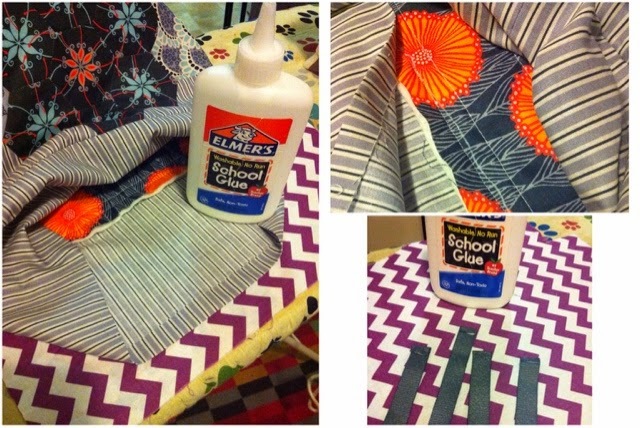 I am a big fan of using glue in sewing and I use liquid Elmer's Washable glue with a special fine tip. I put a fine line of glue under the inside seam, then heat set it down with my iron. This meant that when I stitched in the ditch on the outside of the bag, I knew I was going to catch the inside hem (without using any pins!) I also used glue for the ends of the ribbon. Check out some of the other stops on the blog hop and there are a few more stops to go before the final linky party back at Gnome Angel! 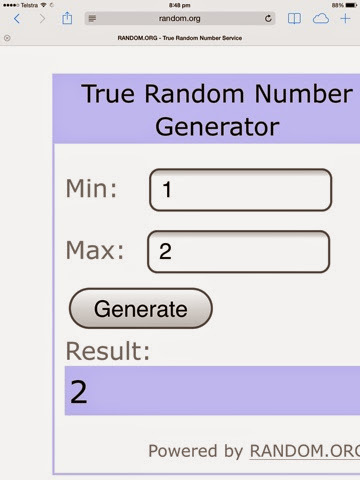 I believe there are some awesome prizes!! I love this months Puss in Boots block! and oops made an extra square in a square! It will just give me a few more options when I put it together. 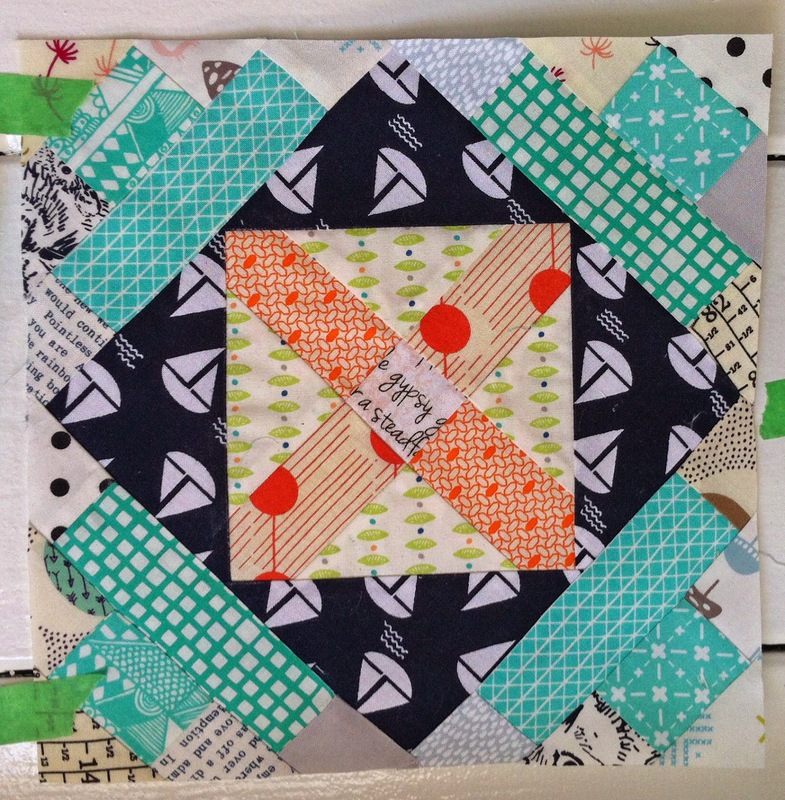 I listened to a fantastic webinar over at the Modern Quilt Guilds website from Anne at Playcrafts on the theme of "creativity" and her Quilt Design A Day (QDAD) group. I never really considered myself as "creative" - certainly crafty and productive but creativity was not something I thought of. So I decided to set myself a little challenge, there may have been a smack on mid-thirties birthday for me at the start of September and I thought it would be nice to start recording my something creative I did each day - whether it be designing, drawing, sewing etc. I also thought it would be awesome to see the evolution of projects I work on and it kinda shows how many things I work on at a time! 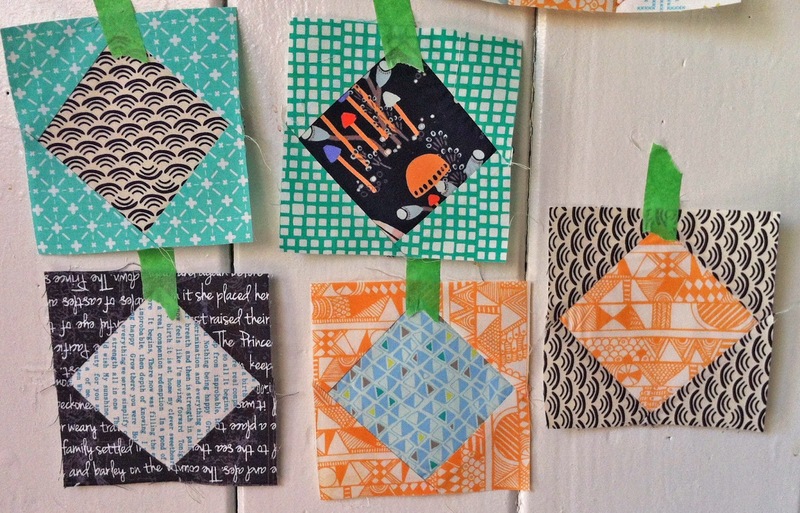 Hopefully my failed #blockadayjuly blocks might reappear! So this is my Creative September - only missed one day even though I was in Melbourne for a few days! I made it using my new favourite block "Fox and Goose" and used some awesome fabric from Jessica Wheelahan called "texttype". I think it is available from Material Obsession but I have her email if you are interested! It is is perfect mustard fabric and it is a little heavier than quilting cotton so it was perfect for my bag! Well I also had a conference in Melbourne in September and decided to make a long weekend of it when two of my girlfriends also decided to tag along and make it a super long weekend! One of them lives in Perth so we don't often all get to catch up. 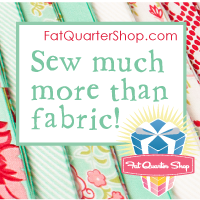 Both my friends are quilters (or learning) so fabric shopping was certainly on the agenda. 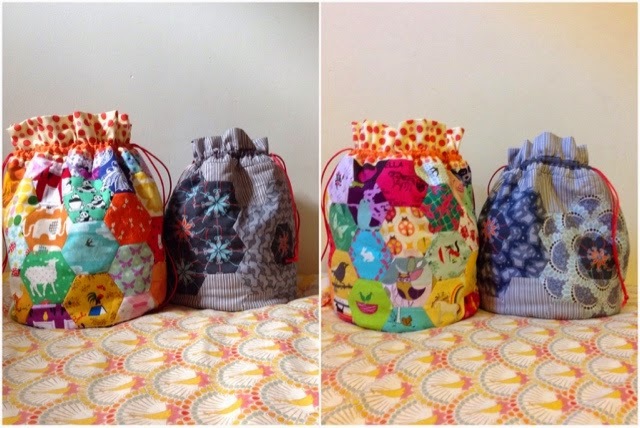 Therefore they both needed supertotes as well - how else where we going to carry fabric around?? I get very excited about making wedding quilts - there is just something special about making something celebrating such a beautiful event. My friend G from Melbourne recently got married so of course I had to make a wedding quilt. We had only met Y a few times as we live in different cities but I knew her favourite colour was green and I wanted to keep it masculine and minimalistic as I know G likes that style. After searching Polka Dot Tea for some perfectly yummy green and grey fabrics and playing around with a few designs - I decided that a simple plus quilt was the way to go. The green is a Michael Miller Cotton Couture in "Turf" - my new favourite colour! I was really hoping to get a pic with a tram in the background but they ended up all too shady! I used 4" squares and once I had laid out the quilt used this fantastic method from Poppyprint to sew it together. It was really quick to sew together! I quilted it in a square random grid kinda way using a few different shades of grey and green aurifil thread across it diagonally. The back is a light grey and a panel from Jeni Baker's Nordika range - it matched perfectly with the grey. I also embroidered a "G + Y" into the panel but forgot to take a photo! I was in Melbourne over the weekend so I got to hand deliver it to the recently wedded lovebirds! i craft, i travel, i read, i cook, i am a librarian, i have two cheeky dogs + cheeky guy and i wish i could sing Plus my two recent additions - Little Miss E (squishy) and Mr C (oops).